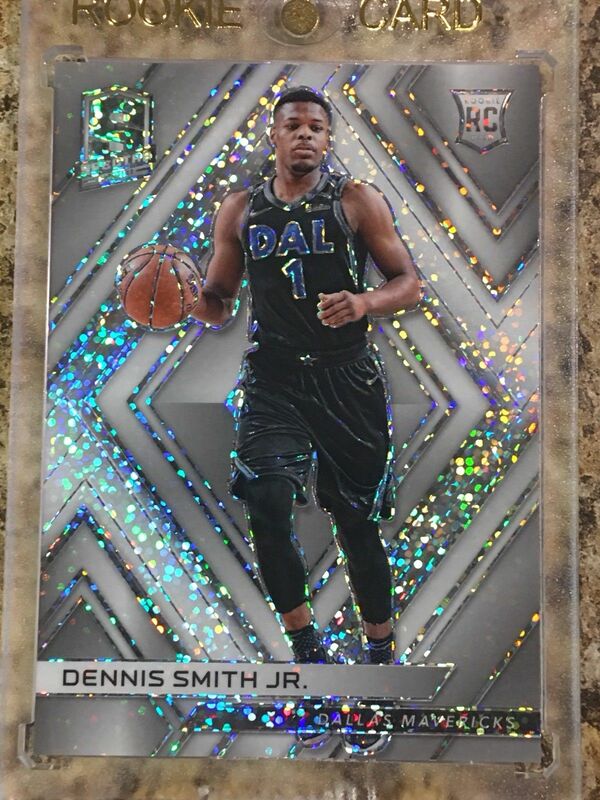 It’s about as colorful and as spectacular as a trading card product can get. It’s a different-by-design kind of take on Panini America’s popular Prizm technology with a rainbow array of parallel chases, lots of autographs and lots of memorabilia. 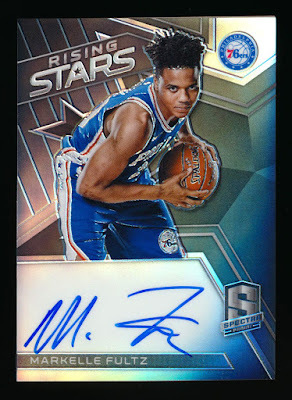 It annually delivers some of the most striking single cards in the game with a hit-heavy recipe with prime possibilities. 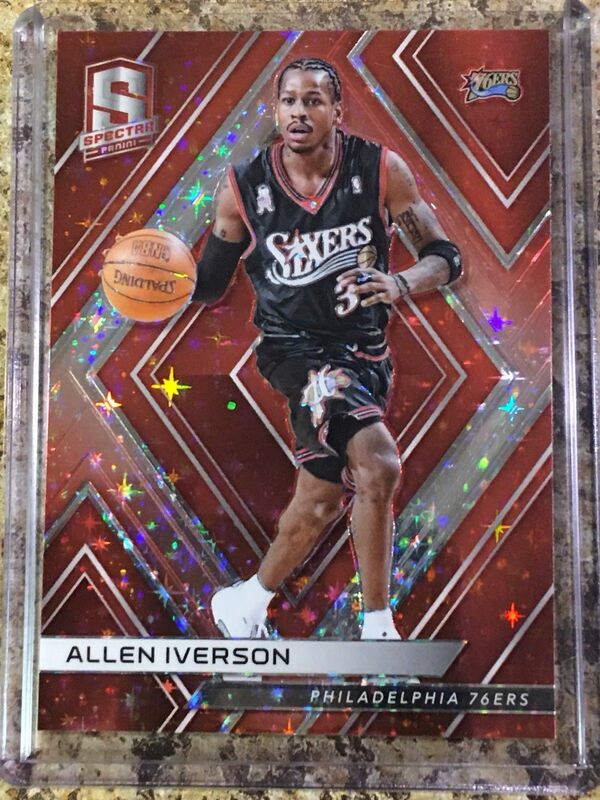 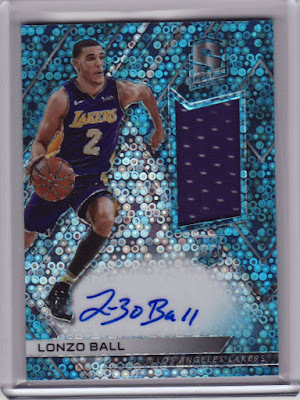 It, of course, is Spectra Basketball — and it arrives this Wednesday at Sports Cards Plus. 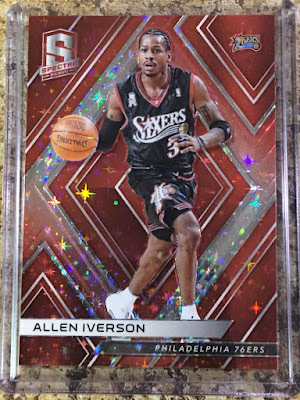 2017-18 Spectra Basketball returns with a new parallel structure that features Silver Prizms (two per case) and White Sparkle Prizms (one per case). Other Prizms to chase this year include Neon Blue (numbered to 99), Red (numbered to 75), Neon Green (numbered to 49), Neon Pink (numbered to 25), Neon Orange (numbered to five) and the spectacular Nebula 1/1s. 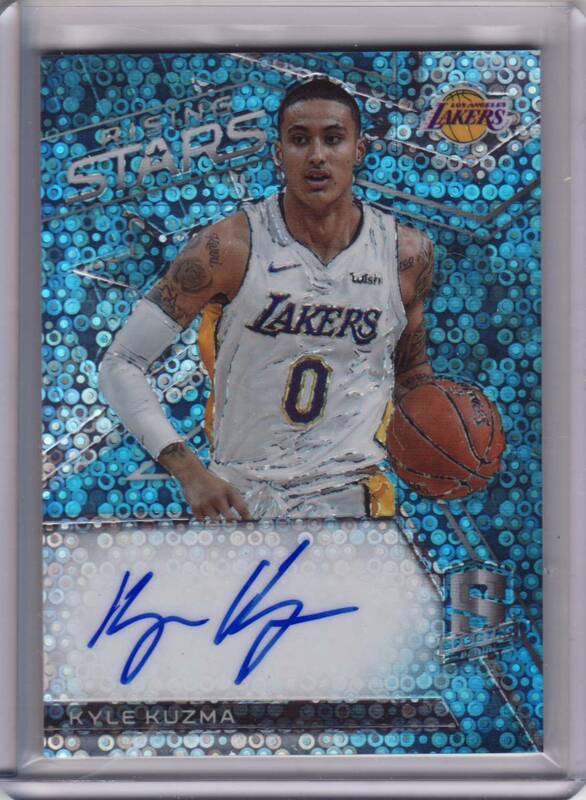 On average, each hobby box of 2017-18 Spectra Basketball (nine cards for $280 per box) will deliver one base card, two parallels, three autographs and three memorabilia cards. 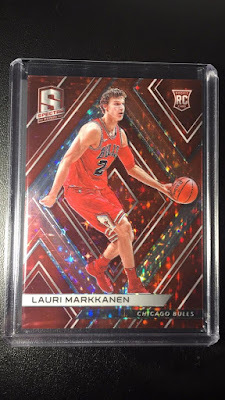 season are featured in the Rookie Card subset, including Donovan Mitchell, Jayson Tatum, Lonzo Ball, Kyle Kuzma, Markelle Fultz, and Lauri Markkanen. 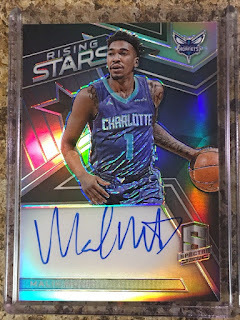 The Rookie Jersey Autographs chase features 35 of the top rookies from this year’s class and features Neon Blue (numbered to 99), Neon Green Prime (numbered to 49), Neon Pink Prime (numbered to 25), Gold Prime (numbered to 10), Neon Orange Prime (numbered to five), Nebula Laundry Tag 1/1 parallels. 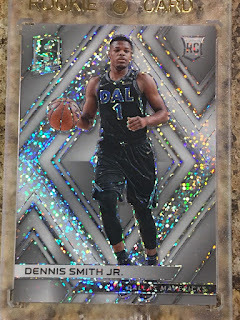 In The Zone Autographs includes top veteran and retired players such as Giannis Antetokounmpo, Kobe Bryant, Shaquille O’Neal, Reggie Miller, Kyrie Irving and Kevin Durant; parallels include Neon Blue (numbered to 49), Neon Green (numbered to 35), Neon Pink (numbered to 25), Gold (numbered to 10), Neon Orange (numbered to five), Nebula 1/1. Some of the flashiest autographs on the market including In The Zone, Rising Stars and Illustrious Legends.